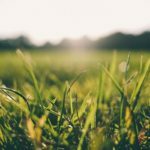 Austin, TX– On-demand lawn care platform LawnStarter announced today that it has secured a Series A investment of $6 million led by San Francisco-based Binary Capital. This round brings LawnStarter’s total funding to $7.25 million and will help the company expand its geographical coverage and build out a team of key hires. This round of funding comes only six months after LawnStarter closed its $1 million seed round, which Gary Vaynerchuk (via Vayner/RSE) and several individual angels participated in. The Series A funding comes after a spring season of stellar growth, smooth operations, and incredible reception by both consumers and lawn service providers. “This money will allow us to build the all-star team it takes to win. We’ll be bringing on a VP of Engineering, several engineers, and a couple marketing professionals. City expansion is on the horizon as well” says co-founder and CEO Steven Corcoran. Homeowners use LawnStarter to schedule lawn mowing, fertilization, bush trimming and several other specialty services from vetted, local lawn service providers. LawnStarter currently operates in the Washington DC Metro Area, Austin and Orlando. According to Corcoran, LawnStarter plans to expand to several metro areas in the weeks to come.